I love connecting people with food. Whether that is a new variety of apple I know they are going to love or their favorite cheese they haven’t been able to find in years. It’s one of the reasons this blog exists. I enjoy sharing products that I may not need myself but I know other people are looking for them. Case in point, gluten free flour made without rice I know there is an audience out there that is looking for such a product. I would love to connect with you and help you find the flour you are looking for. Thanks for stopping by the blog. Now for those that may not necessarily be looking for gluten free flour, I want take a moment to share with you what gluten free flour is about. 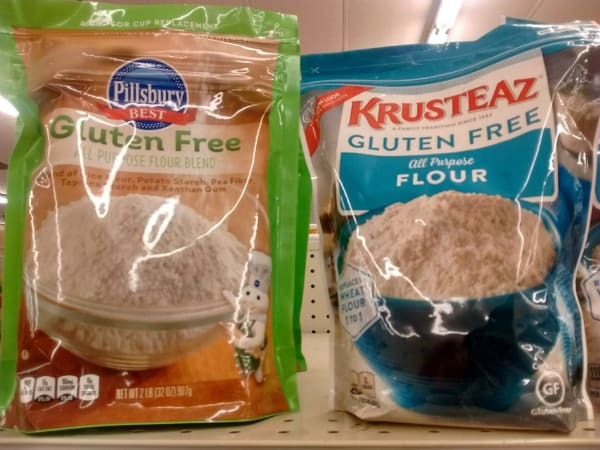 A couple gluten free flour mixes I found at my local Kroger store. 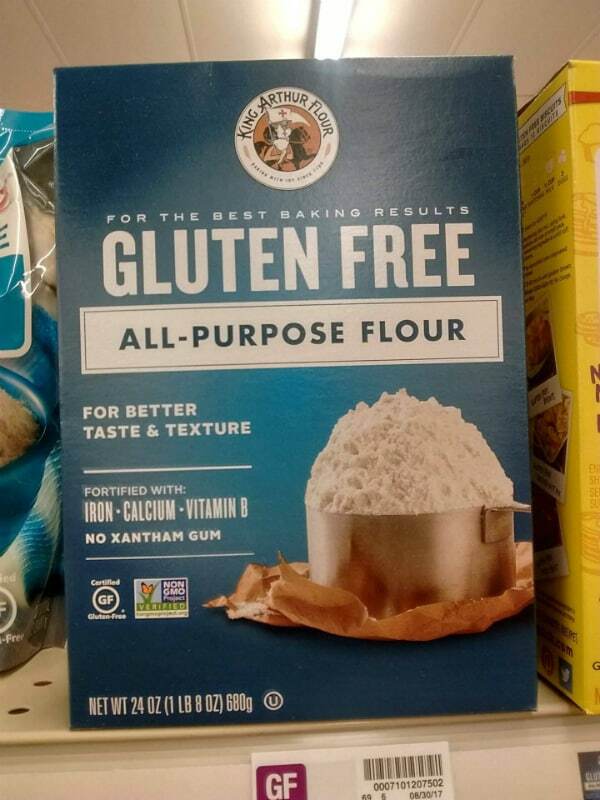 Simply put, flour that does not contain gluten. 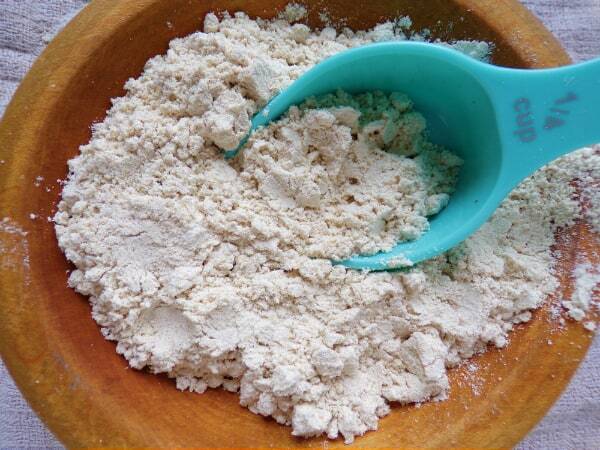 This can be flour from a single source, like rice flour, or from a mix of different types of flour. Gluten is a protein that is found in wheat, rye, and barley. Oats may or may not be gluten free Naturally they are, but often they are processed in the same place as wheat, rye, and/or barley. Contamination may occur. Some people’s bodies cannot break down gluten. Because of that they need to avoid consuming it. 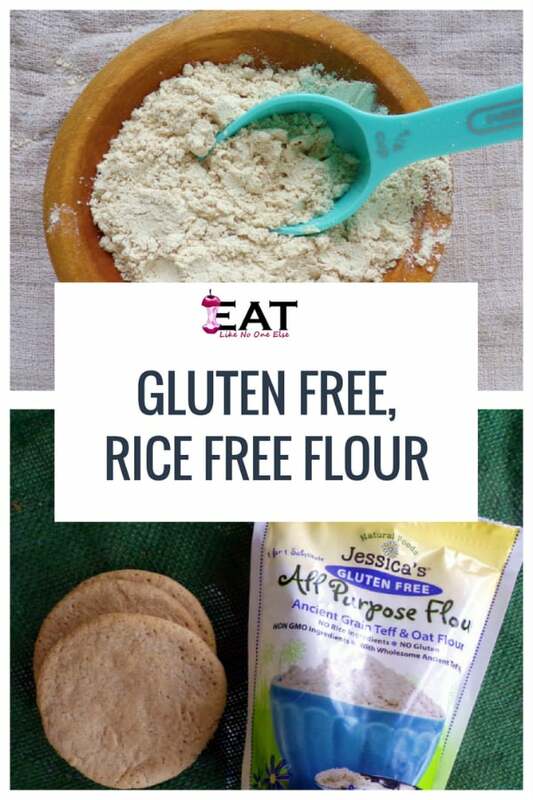 A gluten free all purpose flour mix made by King Arthur Flour. What is in Gluten Free Flour? As more people have begun avoiding gluten, the amount of gluten free flour on the market has increased. Below is a list of what you may found in a gluten free flour. 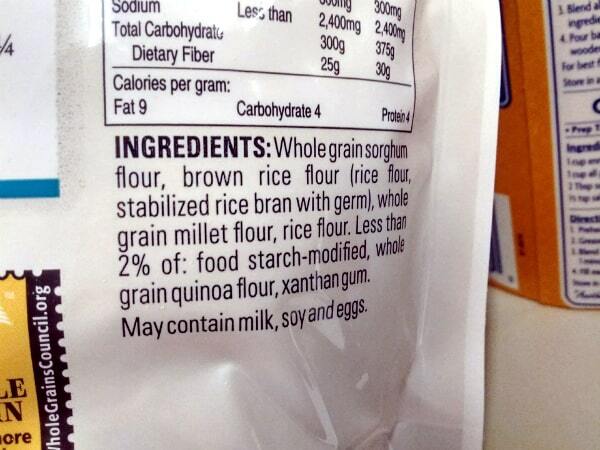 Again these ingredients must be processed away from wheat, rye, and barley to be considered truly gluten free. That is not a complete list. Some people opt to avoid eating too much flour made from rice. Why You Would Want to Avoid Rice Flour? A lot of gluten free flour mixes contain rice flour. Why is that an issue? Rice contains higher levels of arsenic than other foods. Arsenic is actually naturally occurring. We don’t completely avoid it. The concern out there is that too much rice will increase the amount of arsenic you are exposed to and this may lead to a higher chance of developing cancer. Every gluten free flour I found on a trip to Kroger had rice flour on it’s ingredient list. What I often see happen when someone is trying to avoid something (in this case, gluten) they end up eating more of something else, such as a rice. Just like people who stop eating meat, end up replacing the meat with soy products, thus consume more soy. 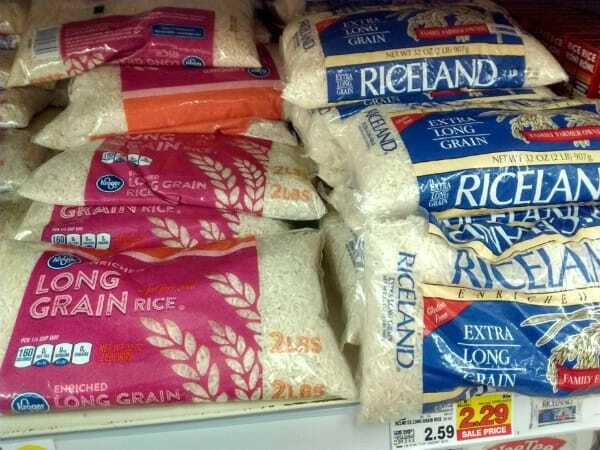 Am I saying we all need to completely avoid rice? Well no. We really aren’t trying to do that in our family. We don’t eat a ton of it either. If avoiding or cutting down on rice is your conviction and you have done your research and you feel you need to avoid rice, then there is nothing wrong with that. I want to support that. I applaud you for following your conviction. This post is directed at those people that are looking for the alternative to rice flour in their gluten free flour mixes. I want to help point people towards a good option I have found. 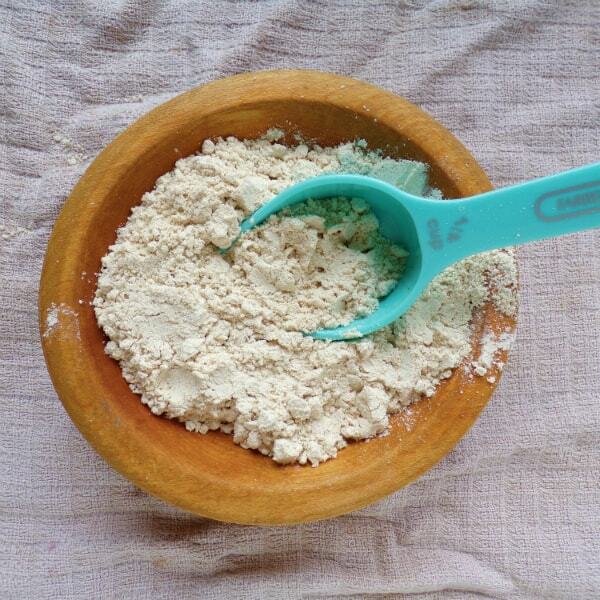 Where Can You Get a Gluten Free, Rice Free Flour? Whole grain teff flour, certified gluten-free oat flour, tapioca flour, ground flax seed, xanthan gum. Notice the oat flour has been certified gluten free. Both teff flour and flax seed provide additional health benefits you don’t get from rice flour. My opinion this gluten free mix is a healthier mix than some of the other ones out that that utilize rice flour. This was my first experience using an gluten free all-purpose flour. I decided to bake some sugar cookies. I used the recipe I always use. I did one batch as normal and I did one batch with the gluten free flour. My wife and I tasted them side by side. Both were great cookies. The gluten free cookie was more tender, not as chewy as the one with wheat flour. The gluten free cookies spread more while baking than the wheat ones. Overall I was pleased with how the gluten free flour performed in this recipe. I do like the fact there is more nutrition in the flour than the regular white flour. Makes me feel slightly better about eating a cookie! You can buy it online via Amazon (this is an affiliate link). Make sure to read the reviews to see what other people are saying. Jessica’s has a store locator on their website showing where you can buy their products in person. 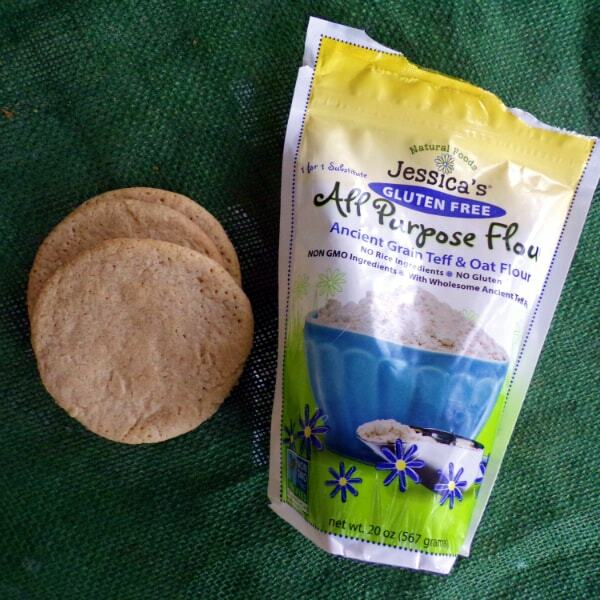 Have you tried Jessica’s Gluten Free flour before? We would love to hear your thoughts about. Leave a comment below. Thank you SO much! I am allergic to wheat and rice and it’s been so hard finding things I can eat. Will definitely be trying Jessica’s (plus that brand makes great granola). Veronica, I am overjoyed that I got to share this flour with you. It’s an amazing one. I am also allergic to wheat and rice, as well as potato it turns out! I will definitely look for this flour and Thank you for posting about this! You’re welcome! Glad you found it. Avoiding gluten AND corn, and its derivatives is REALY hard. Most gluten free foods contain xanthan gum, which is grown on corn substrate, or, cross contaminated during processing. Corn-sensitive people will react with varying levels of severity. All those products claiming to be corn free need to be avoided by corn avoiders if they contain xanthan gum. You are right, that is tricky. I have a friend who has to avoid gluten and tapioca, which is often in gluten free recipes.